SB Components have just launched their latest Kickstarter. 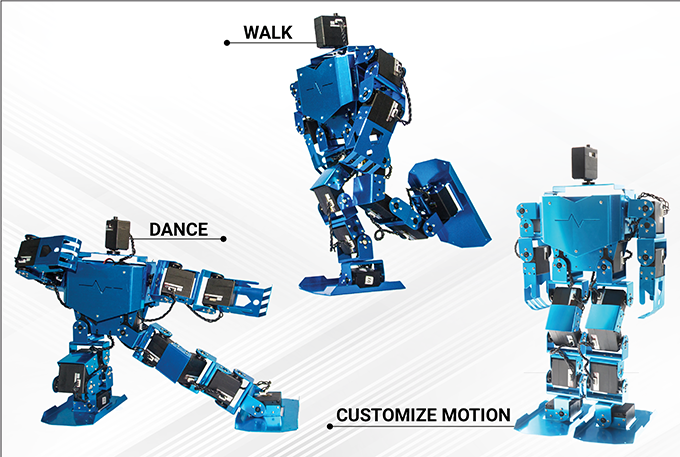 They are raising funds for the PiMecha, a metal-plate, humanoid, servo-controlled robot that uses a Pi for programming. It has a massive 16 servos on-board and is controlled by an add-on board which sits on top of the Raspberry Pi. 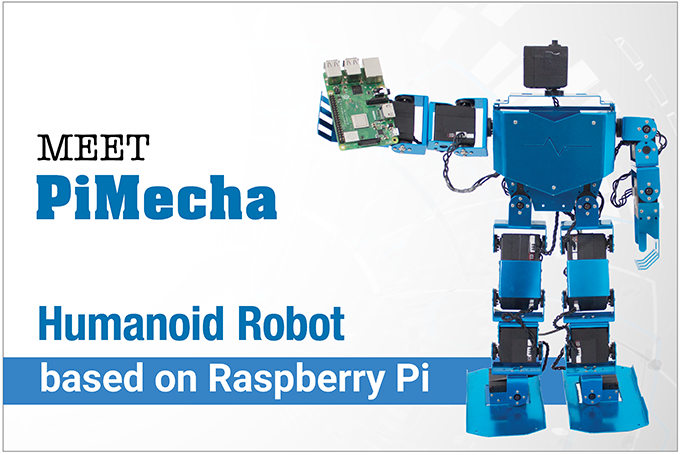 Compatible with any 40-pin Raspberry Pi, the PiMecha is programmed via a visual interface, or by Python. There’s even a choice of colours – red, blue, white or yellow – and you can easily remove the parts, perhaps to laser-etch a logo or something on the breastplate. They’re intending on open-sourcing both the design and the software at the end of the Kickstarter, which is terrific and is likely to generate a community around the product. Pledges start at £299 for a non-assembled PiMecha without a Pi and rise, not unreasonably, for Pi-included and assembled versions. I saw the PiMecha in action at Pi Wars at the end of April and was very impressed. This price is, in my opinion, not unreasonable considering the quality of the product and the team is enthusiastic about making it a success. Their goal, of £25k is, again, not unreasonable and I wish them every success with the campaign. ← Etcher upgraded to allow multiple target writing – great news for Raspberry Jam organisers!